Thank you! My first award from my fellow blogger, Ritu But I Smile Anyway.. has nominated me for this prestigious award! I will always try my hardest to accept awards! 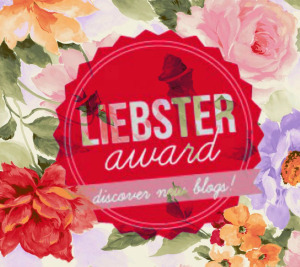 Link the person who nominated you( that’s Ritu) to your blog post and let them know you answered their questions. Why do you write? I am really not a writer and it takes me forever to put two words together. However, I want to share travel and other information to encourage others it is possible to travel if they plan ahead. What would you do with your last $/£5? Buy as many plain Hershey bars $5.00 could buy. I will survive. Tell me your dream job. I work part-time now but I cannot wait to do this all day everyday a full-time Travel Professional. Did you enjoy school? Why/why not? Yes, I love learning new things. What one gadget could you not live without you? My phone. What is your favorite song? Today I’ll say- Love and Happiness by Al Green. I hope my readers take this opportunity to visit some lovely new Blogger’s, and for those I’ve nominated, please don’t feel obliged to accept, I’m just sharing the love! Name the one destination you want to visit and why? Have you ever been on a cruise? If so, which cruise line? What is the name of your dream vehicle? I tried to make the questions easy. I’m with you on the Hershey’s! !